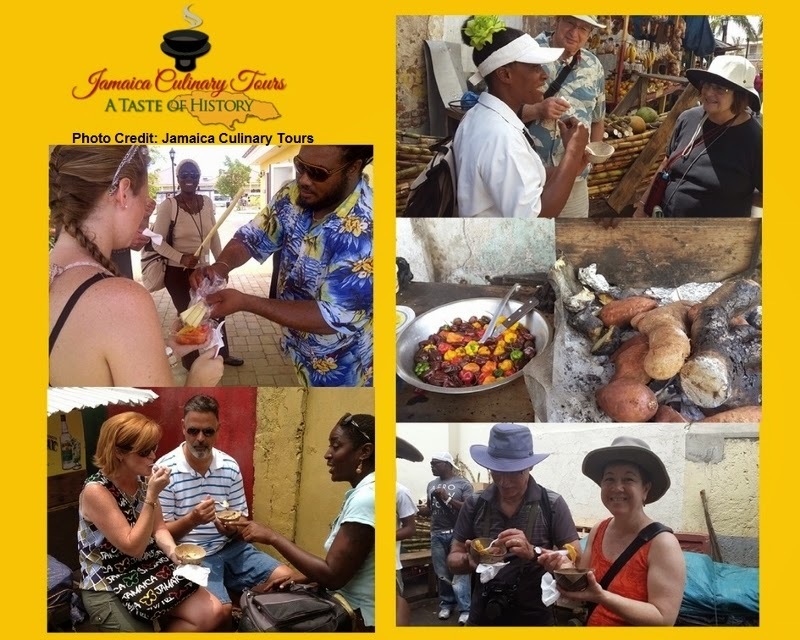 Jamaica Culinary Tours: A Taste of History is the creation of two Jamaican sisters who love to travel and to explore other countries and cultures through their cuisine. The Culinary Tour, which goes under the theme "When Sugar was King", is fun, engaging and informative with six food and beverage tastings. On Trip Advisor the tour has moved steadily up the rankings, and is currently ranked as the #2 Falmouth, Jamaica attraction with a 5 star ranking. The 2 1/2 hour guided walking tour is run in collaboration with Falmouth Heritage Walks and begins with a tasting on the Falmouth Pier, and the final tasting is set in the cool gardens of a Falmouth Period home. 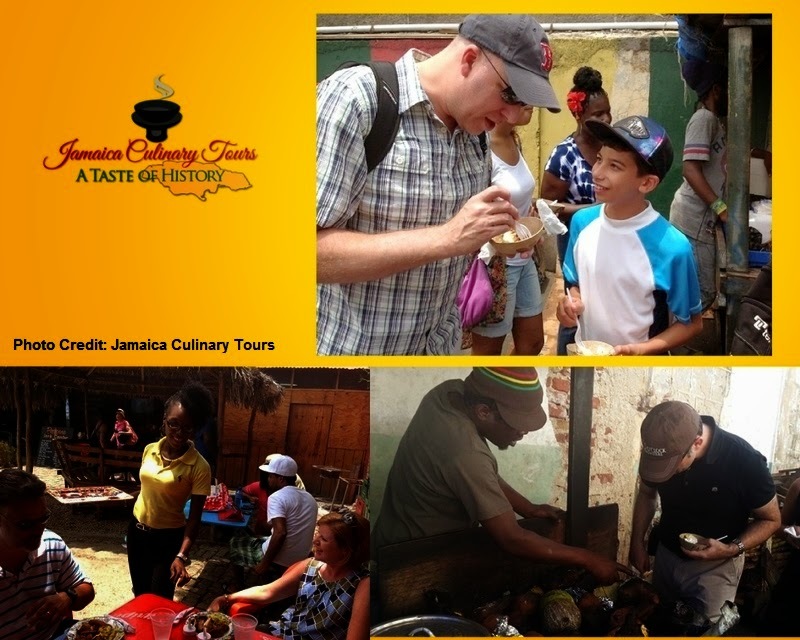 Along the way participants will learn about the history of how food was prepared, creative cooking methods, along with the fusion of culinary practices from different cultures which has sustained Jamaicans through slavery, colonialism, wartime and independence. Located on Jamaica's northern coast, the quaint town of Falmouth is known for being one of the Caribbean's best-preserved 19th century Georgian towns, as well as river bamboo raft rides, arts and crafts shopping, horse-and-buggy rides, and of course the flavorful Jamaican cuisine. Falmouth was a thriving seaport in the 18th and 19th century, and the tour includes the opportunity view the preserved Georgian architecture, along with interacting with the local vendors. Anne and Janet grew up in a multicultural household, where entertaining and hosting visitors from other countries and cultures was the norm. They grew to love showing off their beautiful island and their culture. Therefore their tours are designed to be small, relaxed and intimate, as if taking friends to sample their preferred local delights in their favourite local hangouts. Janet has enjoyed a diverse career representing Jamaica overseas in the diplomatic and intercultural fields. Her travels have seen her living and working in five countries and visiting over forty countries both on the job and just for fun. 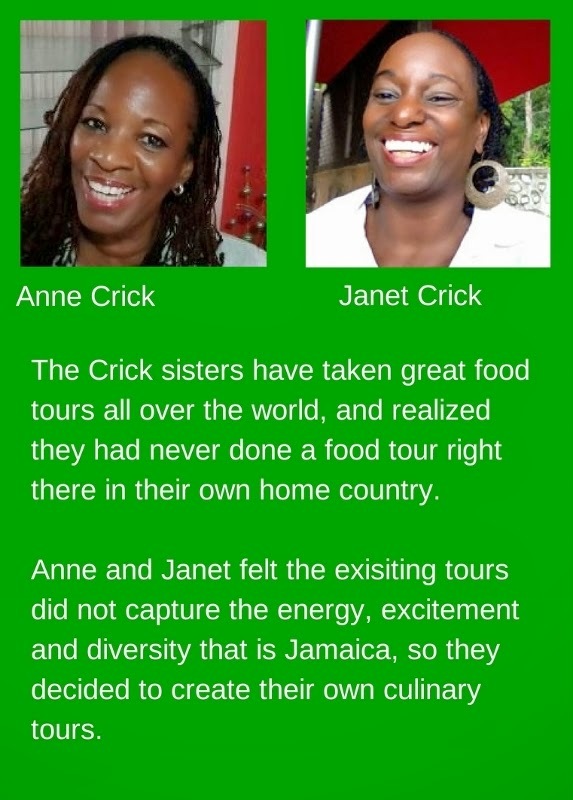 Her mission is to create authentic food tours that reflect the warmth of the island, the unmistakable "vibes", spiciness and zest of the Jamaican people, and the rich diversity of a culture and cuisine infused with centuries of flavour and history. Anne once managed the food and beverage departments in some of Jamaica's leading hotels. She now works at the regional University of the West Indies where her focus is on Tourism and quality service management. She is also a consultant to many local service entities. Anne's passion for food and beverage led her to conceptualize Anna SmartCakes - a boutique brand of baked goods for grown-ups.